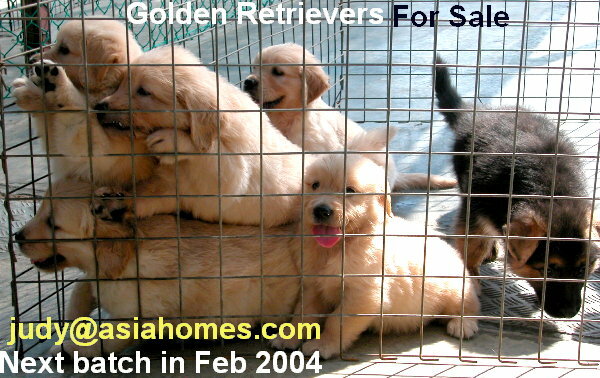 Will castration prevent further biting from the 3-year-old Golden Retriever? "What should I do?" Mr Tan showed me the 3-cm reddish brown dog bite clotted wound on his right palm and another puncture wound on his wrist, "My Golden Retriever to bit me when he tried to remove the feed bowl from him. This was not the first time he had bitten me. He bit my aged parents too." Euthanase the dog and buy a new one so that the aged parents will not be bitten. If the dog had bitten the big blood vessels, the aged parents might have died. Castration of the dog to remove the source of male hormones which caused aggression. "Would this surgery be a guarantee that there will not be future dog bites and how much it would cost?" Mr Tan asked. Sending the dog for anti-aggression training by a dog trainer. Mr Tan did not consider this option as it was expensive. And would there be a guarantee? The only guarantee was death by lethal injection. "You and your family members must decide," I replied. "Let me know tomorrow." The 17-year-old daughter said she was never bitten. Castration was done under worries that the dog might wake up and bite on the operating table. All family members should train the newly purchased puppy with the same procedures. This is easier said than done. In this case, the new puppy would be assessed. If it was the aggressive type, then the training should be to prevent it from biting people. Male dogs are known to bite when the feed bowl is removed. As a young puppy, leave the feed bowl only during meal times. Remove it after feeding. Warn or scold the puppy when it objects to the removal of the bowl. Will castration prevent urine spraying in an older dog? Spraying urine on the fabric sofa for 4 years. "What can be done?" asked the dog Owner. A 4-year old, gentle Pomeranian. Close companion. But one bad habit. He just has to pass urine, even one drop on anywhere in the apartment. Even if he had no more supply of urine. The fabric sofa became very smelly. Should the dog be put to sleep? You don't want to euthanase a close friend if you can resolve the problem. Would castration solve the problem of urine spraying? There was no guarantee. Castration was performed. The Pomeranian was given an Elizabeth Collar to prevent biting of the 2 stitches. Yet he managed to bruise its groin area when nobody was around. How did he do it? The dog was warded as going home might worsen the condition. Ten days later, the redness of the skin subsided (see image below) and the stitches were removed. Complications are rare in castration. Some older dogs just have to lick their surgical area and this could lead to inflammation and infections. Therefore, it would be wiser to ward it and check daily. Charge a much lower rate as some Owners want the dog back to save on veterinary expenses. The resulting open wound and infection would mean hospitalisation and more surgery to remove the scrotal sac. It might cause ill will and more expenses if the dog was released home after surgery. Unfortunately, no vet can guarantee that the dog will not lick its surgical area after castration. Therefore, Owners must be alert to this possibility of self-inflicted trauma and subsequent wound breakdown and infection. And more expenses. Temperament is a hereditary trait in dogs. Bad-tempered dogs should not be bred by the professional breeders but this is easier said than done if the parent is beautiful but fierce. and the result may be a generation of biting domineering puppies. 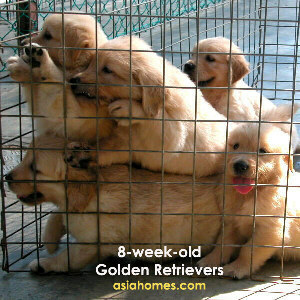 Useful tips: How Your puppy can live longer : New puppy 6-20 weeks old by Dr Sing Kong Yuen, BVMS (Glasgow), MRCVS. Buyers interested in this book to be published in 2004, judy@asiahomes.com or tel 9668-6468 or place an order with your pet shop. Pte Ltd, 26 Jan 2004 . Focus: Affordable homes for expats.